In the modern SEO field, there is a constant demand of rich online content for the websites and if your website content hits the mark, you gain the trust of your customers. Yes, as simple as it might sound, most businesses fail to generate such customer driven content. 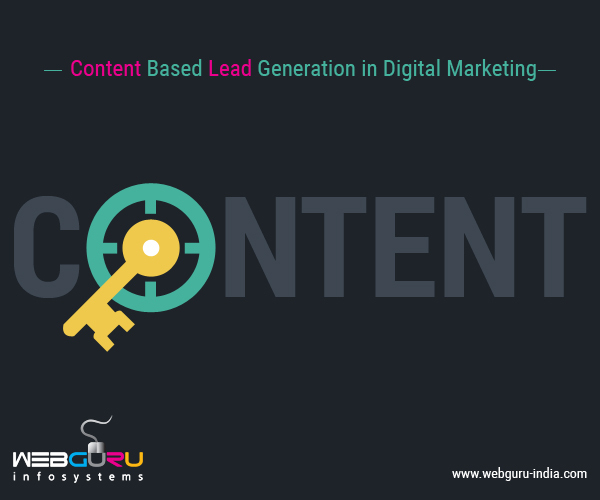 So without further ado, let us dive into some of the most tried and tested method which help website owners generate leads for their businesses. Research About ‘Keywords’: First, you need to find the right keywords which you should include in your content. Keywords with a higher search volume should be incorporated into your content strategically. Your target audience will search for your services with a few definite keywords on the search engines. Hence, it is the duty of your SEO team to find those keywords to get the best results. Decide on the Topic: Once the keywords are given to the content management team, they need to decide the topics. And in order to be able to find the best topic, they should focus on the queries that your customers generally have about your services and products. Remember, the kind of content you put up online will define your business. Develop the Content: The next step would be to develop the content which must be easy to follow and simple to read. It’s a good idea to avoid industrial jargons which most people will not be able to comprehend. Using appropriate statistics and numbers, along with real-time facts is advisable. Last but not the least, the content should be churned out in a creative manner to make it an interesting read for the viewer. Design the End Product: Now that the content is ready to go, it’s time to package it in an interesting and appealing manner so as to grab the attention of the reader. One way to go about it is making a cover with minimal design and formatting. This will make it easier for the readers to go through the content without getting distracted. Market the Content Online: Finally, once your content has been published online, you need to market it properly to bring it to the forefront. Share the links to your content on different social media platforms, send them to the target audience through e-mails, newsletters, etc. Let your digital marketing team brainstorm about it! All said and done, generating leads for your content is no rocket science. As mentioned above, there are simple but effective ways of doing so. Just make sure you do a thorough quality check before your content goes live on the internet. It’s really difficult sometimes getting leads for my business. I think this blog enlightens me a bit more. Good job! Lead generation is really a difficult part because it’s totally depend on your business. Your blog gives the highlight about digital marketing. Good Job! It was a very useful article thanks a lot for sharing it keep sharing such useful articles. It was a very useful article.I suggest SmartSocialBrand is a Certified Hubspot Partner who strives to help businesses to grow in an age of digital transformation with Inbound Marketing and Lead generation services.